A former bank official in southern Hainan Province who hid in the mountains for eight years after embezzling more than 30 million yuan (US$4.72 million) has surrendered to police. Chen Jianxue drank water from the river, dug up sweet potatoes to eat and faced the ever present danger of snake attacks until he eventually decided to turn himself in. 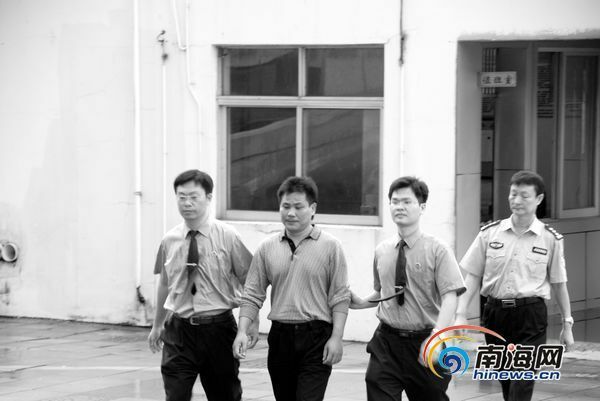 The 42-year-old former vice director of the Lingao County branch of the Agriculture Bank of China gave himself up last Tuesday, prosecutors said yesterday. The embezzlement had been discovered during an examination of the bank on December 17, 2003. "I lived in a mountain forest near my hometown. I dug a small hole for myself and hid in it when I thought danger came," Chen told the Nanguo Metropolis Daily. "If I had a gun I would have shot myself to get rid of all of this," Chen told the newspaper. Police found Chen had gone back to his home to live in secret with his wife in 2004, but he was recognized and had to flee. His wife was later jailed for three years for hiding him.